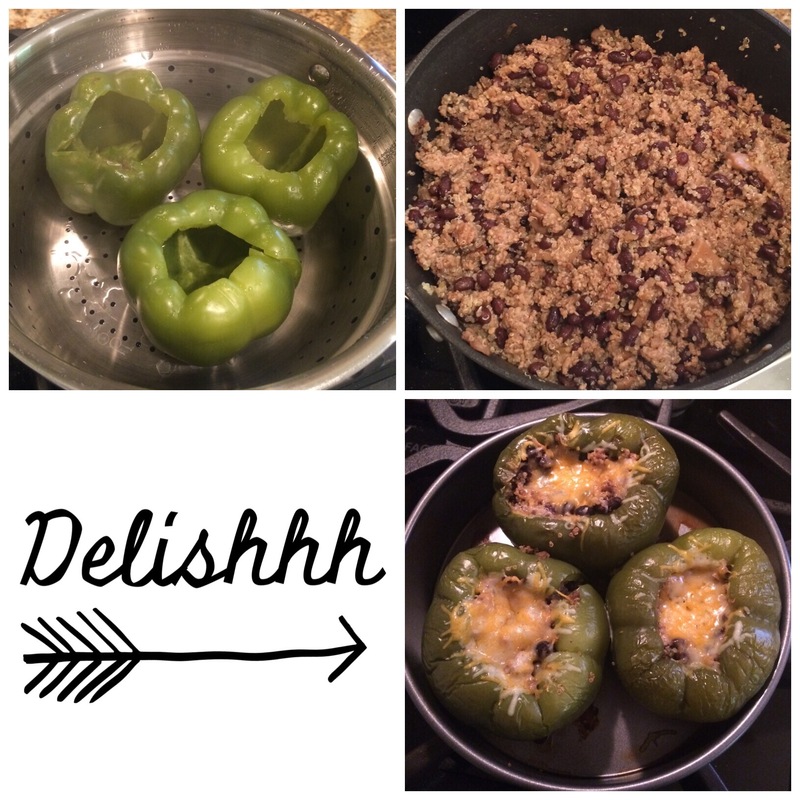 A few of my family and friends that have tried my stuffed bell peppers have asked for my recipe so I figured I’d post on here ; ) This is my once a week favorite! I normally pre make these on Monday and have them on Wednesday nights, it’s the only day I work till 6 so it’s easy to come home and pop these in the oven! We all know I’m not good at numbers so when I cook it’s like screw the teaspoon of this, tablespoon of that, I just throw what I want in there so bare with me on this recipe (since I’m clearly not a 5 star chef) and add whatever you want to make it your own! 1 can of low sodium Mexican style black beans. Season to taste with garlic powder, garlic salt, sodium free tony’s chachere’s, onion powder and ground black pepper. Steam your bell peppers till they get semi soft, while you mix all the rest of the above ingredients besides the cooked quinoa which should be in it’s own separate bowl and once all cooked, combined. Stuff half the bell pepper, add a little Mexican style shredded cheese, and fill up the rest to the top. Cook now or save for later on during the week! Bake in the oven on 375 for 25 minutes, take them out, top with cheese, and put back in until cooked through or cheese has melted!